The Apple Store has started accepting orders through Paypal in the US and UK, offering another way to get hold of a new iPhone 6 or MacBook Pro. As well as being able to buy Apple gadgets outright through Paypal, you can pay in monthly instalments, with the same zero interest deal on offer for those not using PayPal. PayPal payments aren't yet available through the Apple Store app, but at the moment it's not clear whether that's simply down to it not having been updated yet. This news is good for those who like selling their old tat on eBay, especially when paying using one of Apple's 6/12/18 month plans. 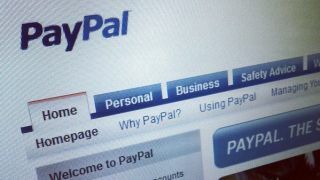 The introduction of PayPal payments is perhaps a little surprising, as Apple is currently in the process of rolling out its own alternative, Apple Pay. Apple Pay was announced alongside the iPhone 6, and can be used in the US to pay for goods with the latest iPhones or the upcoming Apple Watch, due in early 2015. In a similar vein, PayPal expanded its high street payment offerings in 2014, partnering up with many restaurants in particular to offer a new way to pay for your grub. Is there a cease-fire between Apple Pay and PayPal at present? It seems so, although that could all change once Apple Pay is rolled-out worldwide later in 2015.